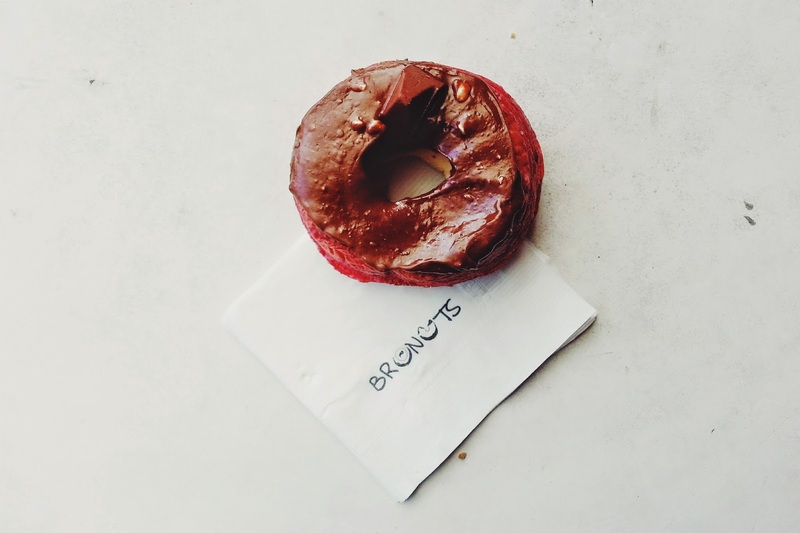 So what is it about Bronuts? 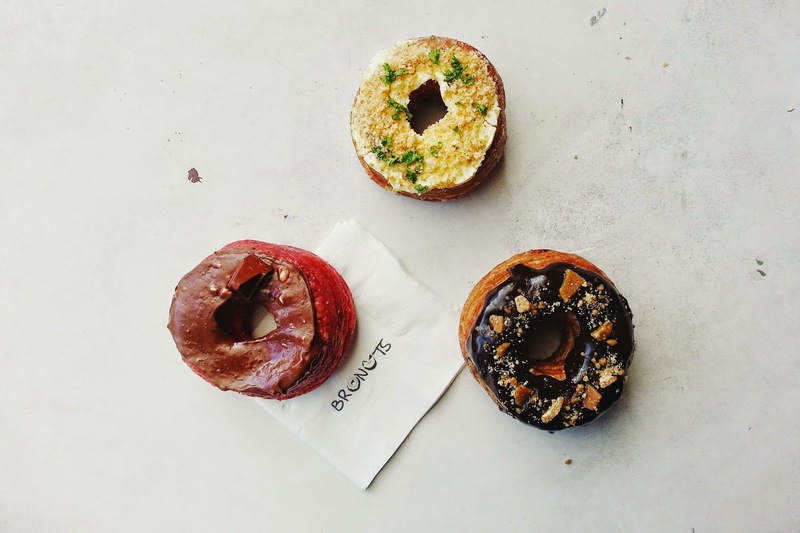 Bronuts looks fun, sounds fun and tastes fun. They have out-of-the-box flavors and they name each flavor with a different kind of twist! Also, they both have sweet and savory flavors! Such a treat! At long last, I was able to try a few of their flavors after visiting their new stall in SM Megamall. I ordered their best-sellers: PMS (pure melted Toblerone on what appears to be sort of red velvet cronut with cream cheese filling), Cream Cheese and Bacon (cream cheese and chives topping with sour cream filling with bacon bits inside) and Belgian Chocolate with Salted Caramel (belgian chocolate coating topped with toffee crunch plus salted caramel in the middle). Being the sucker for chocolates that I am, PMS is definitely my favorite. Ugh. Don't get me started on that generous, luscious, thick coating of Toblerone. And with every bite, you get the sharp taste of the cream cheese in the middle. Definitely a great contrast to the sweetness of the chocolate. Yu-uhm. I could just lick my fingers all day from all that excess chocolate and cream cheese. That little triangle of Toblerone on top was a sweet bonus, too. Definitely will keep all your PMS and other womanly woes at bay. Hahaha. I can't wait to try their other flavors. UGH. To see their entire menu, click here.